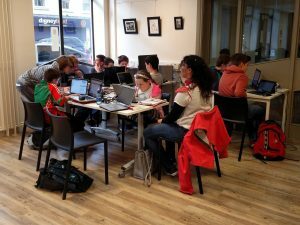 I’ve just added tickets for the November Coder Dojo session in Newry Library on 12th November 2016. Tickets are available here on EventBrite. I have had a Raspberry Pi book donated to the club and I will give that as a prize in November. 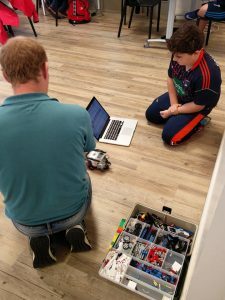 The October session had (yet again) many new faces interested in Scratch and Python and Paul wowed us all again with the Lego Mindstorms. Also since the last session our Coder Dojo regulars ‘The Three Amigos’ demonstrated their design for a Newry City Park built in Minecraft at the GovCampConnect event at Narrow Water Castle on 27th November. The video of their presentation is below, class!